A singer, songwriter, instrumentalist, voice teacher and part-time massage therapist, Mishka Adams spent the last few years living between the vibrant European capitals of London and Berlin. Inspired by the musicality of European and Austronesian languages, her work comprises a fusion of cultural and melodic expression. It’s a chilly December morning. After a five-year hiatus, I’m reunited with Mishka Adams at a swanky venue in Granary Square, Kings Cross. This London location is a far cry from Ilha do Mel, the sun-kissed Brazilian island where we first met. We talk about our passion for European languages and Mishka recommends I read Mujeres, a collection of short stories by Uruguayan author and journalist Eduardo Galeano. I’ve followed Mishka on social media since we got to know each other. Over the last few years, she’s played and recorded in London and Berlin, enjoying critical acclaim. Her professional musical journey began at 19 when Candid Records signed her. She worked with the label for ten years, producing four albums. Today, Mishka focuses on collaborative projects which bring together a range of musical genres. Most recently, she’s been working with Argentine Beto Caletti. Born out of a love of language and song, Mishka’s style is tricky to pin down. I asked Mishka about her time in Berlin. Mishka admitted the work she did in London felt very-much London-centric, while Berlin was a base for the whole of Germany, allowing her to gig all over the country. Originally from Manila, Philippines, Mishka made a name for herself in both London and Manila on the Jazz and Brazilian music scenes, as well as touring worldwide. I asked Mishka if being a professional musician was what she always wanted to do. But, after some deliberation, it occurred to Mishka music was the right path. I asked Mishka about the new album she is working on with Beto Caletti, and about the importance of European languages in it. Mishka spoke about how words in certain languages express a feeling or sentiment, and, referring to the Portuguese term saudade, the power of those words to convey something that cannot be truly rendered into another language. I asked Mishka about the role of music as a form of escapism to get away from the daily woes we Europeans face these days. Mishka Adams and Beto Caletti have a European tour planned for summer 2018, with their first booked show on 11th June at Pizza Express Live, Holborn. 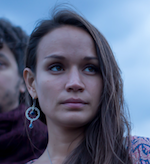 Mishka Adams is a singer and instrumentalist dividing her time between Buenos Aires and London. 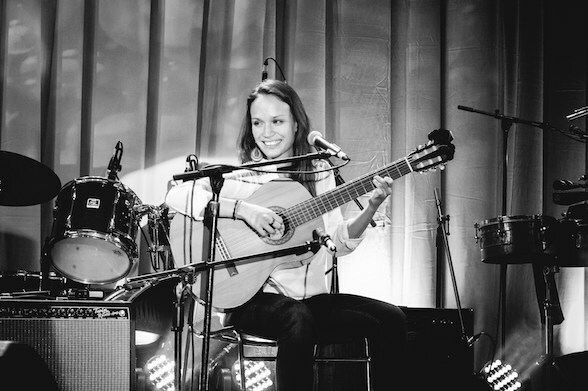 The music she plays is hard for her to describe, but it brings together the genres she loves –jazz, folk, and music from all over South America – through a number of different projects.